On creating a profile on Websmyle, your information will be made available to the users of our mobile application and on the other applications that we own. The feature can be opted out of from the Settings tab. 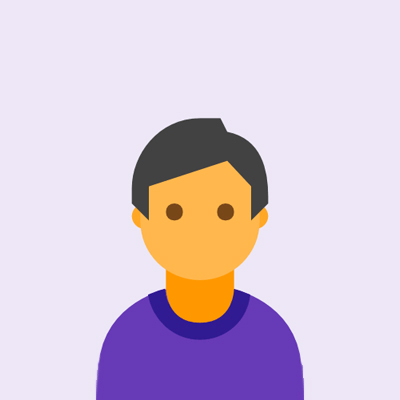 Individuals between the age of 13 and 17 are advised to get their guardians or parents to look through the terms and conditions before making a profile. Personal Safety- Be careful with whom you share your information with. Privacy Settings- Change your privacy settings frequently. Deleting Your A/c - Deleting the account might not always mean that every information you have shared will get deleted. Others might still have a copy of those. Deleting Your Information – If you are under 18 years of age, do send an email to support@websmyle.com to delete your account. Location Information- The location from which you are accessing the site gets automatically saved. Password- Never share your password with anyone and have it changed frequently. Posting on WEBSMYLE- Personal information that is shared in the public areas of WEBSMYLE can be made available for all. Ephemeral Photos- These photos disappear after the recipient looks at it. These also get deleted after three days when not viewed. Not Receiving Cookies- The option to not receive the cookies can also be turned on whenever the need arises. No Tracking of Signals- We do not track signals. Information is collected the moment you log in and each of your activities is tracked. From the mobile device identification, IP address, cookie, geographic location and beacon information, everything gets automatically recorded. Websmyle's third-party partners can also have access to the chats and postings. This is done to improve the experience of the users and create targeted ads. Third Parties- When you register for Websmyle using a third party platform, we may access information by cookies placed on your device by such third party platform. If you log in through Facebook, all the information shared on the social media site can be easily accessible by us at Websmyle. Advertisers- Web beacons or "gifs", are some of the electronic images used on WEBSMYLE. Advertisers may use web beacons in connection with WEBSMYLE to collect data and create relevant advertising. Blogs and instant messaging services can also be accessed to collect information. To customize your experience on WEBSMYLE, we collect information for advertising purposes and also take care to remove information that can directly identify you. We, at Websmyle, combine information, conduct research, develop test products and fix technology related problems. We contact users through emails to take part in surveys and put your profile on other websites to lend you a customisable experience. Cooperation with Law Enforcement- We cooperate with the government and law enforcement officials to enforce and have ourselves comply with the law. Business Transfers- We might share the user's personal information with another business entity if it is related to our business. Service Providers- We transfer information to vendors and service providers and others who are associated with and support our business, all the while adhering to strict confidential norms and regulations. Advertisers- Websmyle shares information (i) to gauge the nature of the connection across your devices, (ii) to assess the suitability of your desktop (iii) to provide information related to user interests to third parties; and (iv) to develop reports that relates to the presentation of advertisements that are customised or content that includes statistical reports which links directly to the users' activities. Our partners can also combine shared information that are collected from other sources to provide an optimal experience. We use industry standard security measures to put a stop to the loss, alteration and misuse of the information. However, it is not guaranteed that the security measures that we employ will prevent “hackers” from getting hold of the information shared. "Cookies" are small computer files that are transferred to the computer's hard drive which contain information such as user ID, user preferences and the lists of pages that are visited along with activities conducted while browsing the Website. Users also have the option to disable this. These are cookies allow you to move around the website of Websmyle and use the services you have requested. These cookies assist in anti-money laundering and introduce anti-fraud obligations, and prevent accounts from being hijacked. The cookies get activated when you enter Websmyle. These cookies help in improving the website, delivering a better and customised service to the users. These Cookies allow us to deliver a more personalised service to you that allows Websmyle to remember the choices that have been made such as the language preferred, the location of the region and also services that provide the option to comment.